To me, Champagne is a bit like the opera: Even at its best, it’s still the opera. And I’m not a huge opera fan. So this New Year’s Eve, why not eschew Champagne altogether and just grab a beer. No, not “the champagne of beers.” The growing craft beer community is brewing up lots of amazing new products and even revitalizing rarely seen styles that make for great midnight toasts. Here are a few of our suggestions, featuring a mix of rarer special occasion brews and others you can hopefully find at your local beer store. New Year’s Eve is coming up quick after all. If you can’t cut the Champagne cord entirely and are interested in a beer with a Champagne pedigree, consider giving DeuS from Belgium’s Brouwerij Bosteels a try. Though this unique brew undergoes initial fermentation at the brewery, it’s literally sent to Champagne where it’s finished using the “method champenoise” typically reserved for producing sparkling wines. The result is a beverage that toes the line between beer and bubby. Interested in a wild (literally) American take on the style? Side Project Brewing Blanc De Blancs gives a sour twist to the Biere de Champagne style, brewed in Missouri. If your complaint about swapping in beer on New Year’s Eve is that it’s too heavy, Berliner Weisses will change your mind. The traditional German style tends to be light and refreshing, tart and citrusy, letting its effervescence shine through without malts or hops weighing it down. Since 2008, California’s The Bruery (now producing under the name Bruery Terreux) has been making an extremely drinkable take on this style with just enough of an extra sour kick. The brand is relatively easy to find, and the beer is NYE-ready, sold in 750 mL bottles. Want a similar beer with a fruity twist? Schlafly Ibex: The Eleventh Labor is a delicately apricot-enhanced take on a Berliner that’s not only delicious, but also comes in a wax-sealed 750 mL bottle worthy of the big occasion. In some ways, 2015 felt like the year of the gose – with the once forgotten German style roaring back to life – so why not end the year by toasting one? Goses can be similar in style to Berliners and just as drinkable: light, refreshing and citrusy. One trait that sets a gose apart, however, is an added touch of saltiness. 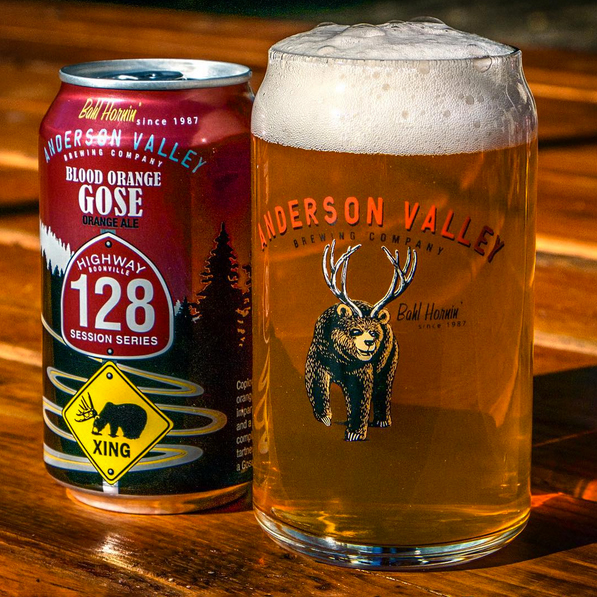 Since some people find this off-putting, I recommend Anderson Valley’s version with a nice kick of blood orange. It’s a solid beginner’s gose and one that’s purposefully built to have Champagne-like flavors, making it a perfect ball-drop alternative. Want to get a jump start on next year’s hot beer trend? Grissette, like a lighter saison, is a style that’s set to make a breakthrough in 2016, and though you probably won’t find it at your local grocery store, Bloody Butcher Appalachian Grissette from North Carolina’s Fonta Flora was one of the best beers I tried this year: funky, complex and a bit crazy. If you really want to go all out on New Year’s Eve, gueuzes are the way to go. Beers don’t get much more complex, utilizing wild lambic yeast to create brews that embrace a wide range of flavors from mouth puckeringly sour to the kind of footy funk you might expect from cheese. Assuming you’re not spending New Year’s in Europe and are can’t hunt down a bottle of Cantillon, I’ve found the beers from Belgium’s Gueuzerie Tilquin to be fitting alternatives that are much more readily available stateside. Want to see just how well we can make gueuzes in America? Allagash Coolship Resurgam is as complex as anything you’ll find coming from Belgium: horse blanket and cheese notes, sour yet burnt dry, all coming together in delicate balance. Alright, but let’s say you want to keep things simple. Pilsner is probably the world’s most popular beer style and for good reason: It tends to be crisp and drinkable – two qualities that can make it a suitable (if not perfect) Champagne substitute. If you’re looking for something a little tastier than a Miller Lite, but still like your beers easy to find and available in six-packs of cans, I’d suggesting making this Great American Beer Fest gold medal winner as the top you pop when the balls about to drop. I can’t beat that line, so Happy New Year!